While your Thanksgiving meal is cooking, kick back with your family and watch the National Dog Show presented by Purina from noon until 2pm on NBC. OHSOGRAY recently participated in a call with co-hosts David Frei and John O’Hurley about what they’re looking forward to in this year’s competition. What are some of the insider tips you’d like to share with home viewers that maybe we don’t see or we need to look for during the show? John O’Hurley: [I]t’s something that we kind of pointed out, we are going to point out a little bit more on this years show is how the handlers handle the dog. This is something I’ve become more atuned to because how – the handler has to know how that dog moves. The speed of the way that it presents it around the ring, it can take the animal off its stride, off its gait and so that it doesn’t look as good as it should. There are a lot of little things that go into handling the dog that you don’t, that you just, you know, many people at home think that they’re just escorting the dog around the ring but that’s not true. David Frei: I think that’s well said John, we talk about the good handlers really are kind of invisible in there if they’re doing their job properly you don’t really notice them. We think that’s important and we think we’re going to have some fun with that in this show. I also think, I always say to people, I want you to watch and listen to our stories about these different breeds. If you know what they were bred originally to do you have some idea about their temperament and their personality and their condition needs and things like that too. So I want you to think about it in those terms, in addition to just smiling and being entertained by 175 or so different breeds and varieties. It’s interesting to see more breeds being included into AKC. Does that change the field of play if you will for the other breeds that have been long established out there as far as competition? David Frei: Well there’s – we always welcome more competition. I think that sometimes it takes the new breeds a while to get sort of into the mix at full speed so to speak, but as the judges in particular begin to educate themselves about those new breeds. I don’t know some of those breeds have been around for a long time. We say new breeds we always say it’s kind of a misnomer because some of them have been around for hundreds of years, they just are newly recognized by the AKC, which makes them eligible for our show. Is something you look forward to the most each year or the least? John O’Hurley: Well for me it’s walking my wife and I and this year my son as well walking up and down the aisles before the show and seeing all the dogs. It is so much fun to see so many different breeds and they’re all in various stages of being poofed up for the show. It’s wonderful to see the attention that they get and the interaction that they have with their owners and their handlers. And just to see the whole feel of it backstage, there’s an electricity to it when you have, you know, nearly 2000 dogs back there. Then you have the public going back and forth and they, everybody has a smile on their face. I always say that the dog show is always the happiest place on earth because you have that many dogs and all that wonderful energy in the room and everybody is having the best day of their lives. David Frei: That’s well said, I’ll second those remarks. John O’Hurley: Well you can’t you’ve got to come up with something infinitely more creative. David Frei: You’re the creative guy, you’re the wit and I’m the wisdom. John O’Hurley: Let’s not get into this, let’s not have this team implode on the phone here. John O’Hurley: Well that’s nice of you to say David but I still live in your shadow. David Frei: …I say all the time – well I’m glad you pointed that out but we do have great fun with it because we both love our dogs, we both love dogs. We each have a Cavalier in our lives so we sometimes compare notes on does your dog do this. You don’t need to talk to the breeder let’s go talk, let’s call her up right now and find out why our dog is doing these things. We have a great time with it and we’re just happy to be a part of this great show that gets it into so many living rooms and so many turkey tables on Thanksgiving Day. Have your dogs ever been show dogs? John O’Hurley: I have a Cavalier King Charles that does come from championship lineage but it does – she has a little bit of an overbite. So we love her dearly but apparently she’s not show material but she certainly looks it though she’s gorgeous. It happens to be just coincidentally the cousin to the Cavalier that David has, they came from the same breeder. 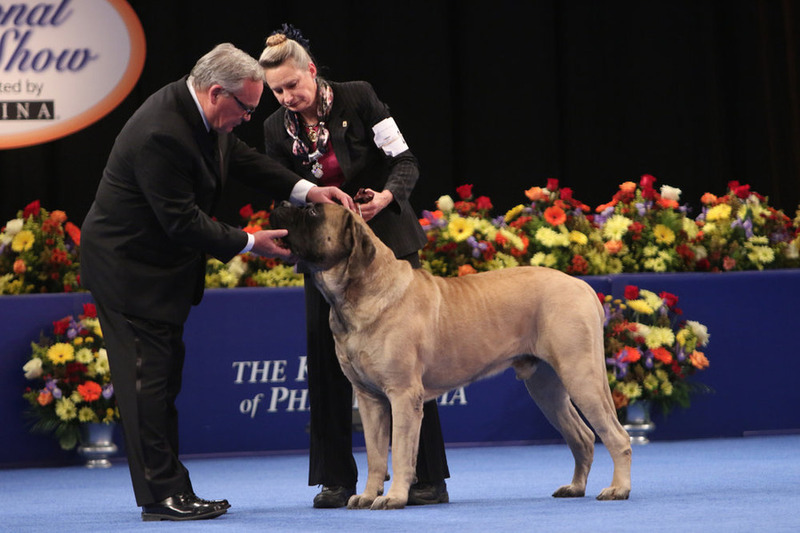 David Frei: Both of my dogs were show dogs and (Grace) is a retired show champion. I showed her and finished her myself. And (Angel) won a few points and then came in season and blew all her coat and it never came back so she got to retire early, but they are both very active as therapy dogs. But of course I had Afghan Hounds for 30 years and finished a lot of dogs, was in the ring a lot. And in fact we have the top Afghan Hound, (Zumi) retired as the top winning female in the history of the breed a number of years ago. So we’ve been in the ring and we appreciate what it takes for these people to get in there and show their dogs. When the show actually airs I know there’s always some behind the scene stuff that Mary Carillo does, but will they be showing anything this year of the (Sharina’s) dock diving dogs for the agility? John O’Hurley: We had it there at the show, I don’t know that it’s going to make it into the show. Given that you don’t know if that’s going to be in the show, is there anything special behind the scenes that will be shown this year? David Frei: You get to hang out with John back stage. He does a book, he’s doing a reading of his newest children’s book with his son (Will) I think helping him with the big words. John O’Hurley: The big words, yes. David Frei: And of course we get to see the new breeds again as part of the dog show of course but we get to see them up close and personal with Mary Carillo back there visiting with them. So we think there’s more than enough for everybody but we try to get our variety of dogs into the show so that’s tough to do in two hours because we can’t, there’s no way we can get 175 different breeds and varieties in our two hour show. John O’Hurley: Purina also has a couple of interstitials that they’re adding into the show, which deal on the subject of senior nutrition for cognitive health, which I think is actually very fascinating. I had an opportunity to go out to St. Louis to the headquarters and see what they’re doing now as food additives, these natural ingredients that have had remarkable success in aiding senior mental health on the dogs. It really is a – as dogs get older they have a tendency to lose their ability to process glucose in the brain and so that they end up showing signs of what they refer to as canine dementia. They’ve had some wonderful examples of it being reversed with some of these natural additives. Will you be reading your book also on air? John O’Hurley: Yes, yes and actually I have some news for you, the book was, is becoming a children’s musical now. It’s so there is – yes and we’re actually in talks with the possibility that it will move on and also become an animated show. The reason that we do the book reading there is because really it kind of underscores what we believe in the show is really the ending of the book, which is the dog that is perfect is the one next you and it really is kind of the whole statement of why we do this show. I’m sure a lot of people have seen Best In Show. Do you have any stories of intense pet owners that you’ve had interactions with over the years at these events? David Frei: Well, you know, when the movie came out we were all a little bit leery of what it was going to do but it did, and it’s a great movie believe me I carry it around in my bag virtually. But it did not make fun of the dogs, it did not make fun of the sport it only made fun of the people and we readily admit to being kind of a target rich audience or target rich environment in that respect that we do have those characters out there. I remember my wife yelling at me that I didn’t bring the right squeaky toy for the dog one time. So it’s kind of we all looked at it and laughed, we had a great time with it. And we take it as a compliment actually to be the object of satire of a group like that. 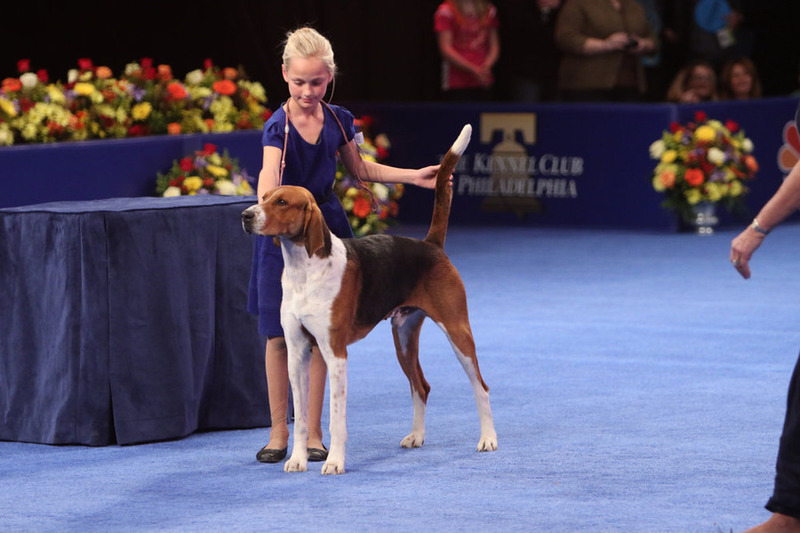 What originally drew you to being a host on the National Dog Show? John O’Hurley: When the head of NBC Sports called me up in Los Angeles and I answered the phone and I heard woof, woof. That’s exactly what he said to me, this was put together very hastily. Once the head of NBC Sports saw best in show over the weekend he came in Monday morning and he says I have a great idea for that two hour slot between the Macy’s parade and football that we normally who our reruns of It’s a Wonderful Life. And lo and behold this was in the space of about 48 hours this entire project was put together and I was the call on Tuesday morning. So it was really, you know, it was an – I always have believed in just the message of opportunity and I’ve rarely said no to anything. So as a consequence my career rather eclectic and it takes me in a lot of different directions but, you know, I always feel that somehow that there’s something to be spoken through the, just the nature of opportunity. Say yes and it will take you in a different world and this certainly has and I’ve enjoyed every day of it. How has it changed since you started 13 years ago? John O’Hurley: I don’t ask the silly questions that I did in the beginning, like which end of the dog are they judging. I’ve learned so much, it’s been such a learning curve for me to learn so much about the breeds and also to develop an eye for the dog. David of course has a whole history with this and his whole lifetime is spent being one of the great voices and one of the great databases for dogs. I’ve had to a lot of catch up baseball so, but it’s been a lot of fun for me to do, to kind of sharpen my wits and so that I can actually recognize a good dog in the ring now. What has been the reaction to the show from families who watch it every Thanksgiving? John O’Hurley: Well we’ve heard on the plus side, we’ve heard so many people say that this is just such a welcome thing because it’s something that everybody can watch. And you think of how regional football has become they’ll only show, you know, the football game in your area and so that’s not for everybody. The Macy’s Thanksgiving parade is not for everybody but the dog show somehow crosses a lot of demographic paths. If you’re 2 or you’re 92 there’s something there. Everybody loves their dogs and they love to have a couple of hours at something that is just so widespread in its demographic appeal. On the other side we do get a lot of complaints that we can’t show every dog and that disappoints us because we really wish we were able to. You know, we have to compress this into a two hour, from seven hours into two hours. So it’s with regret that we can’t show every dog. But we do – we have been able to assuage a little bit of that by putting it on the Internet so that it’s interactive as well and you get the descriptions of all the dogs that are showing in each group. Is there any one thing that you would like for those viewers to take from the broadcast in terms of dog care or dog selection or just the joy of dogs? John O’Hurley: Well I’ll – David I’m sure can add in his comments but, you know, for me the thing that I walk away with and what I like people to walk away with is to see examples of responsible dog ownership. That dogs are lifetime commitments, that they are – and it’s to be treated that way. That our, sadly our shelters are full of too many examples of people that took it as just a trial run and that saddens me. But I think we’ve done – we’ve gone a long way in educating people about the nature of responsible ownership. The other thing would be the many things that dogs do for us and I’ll let David fill in a little more, but the whole concept of dogs being used for therapeutic purposes. David Frei: I think one of the important things that we tell people is the history of a breed and what it was originally bred to do. You know, all dogs basically were developed to do a particular job according to their breed for us. And over time whether it’s the industrial revolution or computers or whatever suddenly dogs don’t have as much work to do for us. So they’ve become more a member of our family rather than a working tool for us that sleeps out in the backyard. So I think if people know that and they listen to that part they have an understanding of why dogs act certain ways. Why they’re wired certain ways and might herd your children around in the living room if they’re a herding dog for example. But I hope that we can share that knowledge with people and have them look at their dog and say, now that explains why you do that so now I understand that a little better. Or maybe they’re thinking about getting a dog and they’ll think about those things and how they fit their lifestyle and family. So I hope they take that away too. David Frei: But (John’s) right about the therapy dog work and things like that and being valuable members of our family. Could you just give a quick explanation of the new breed competing this year? John O’Hurley: But I do want to begin by just pronouncing it Coton de Tulear. David Frei: …very nice, John. You’ve been doing your work, your homework. John O’Hurley: I know I have it spelled right in front of me here. 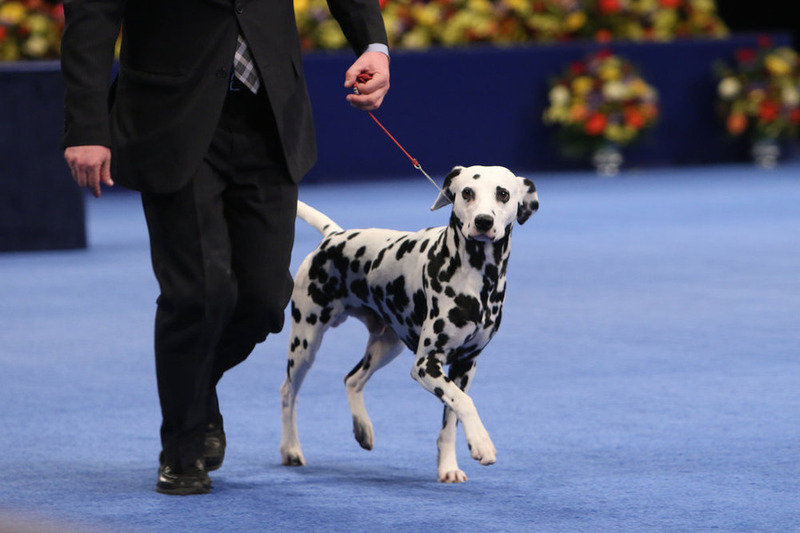 David Frei: Two new breeds this year and again with the up front disclaimer that we say new breeds but they aren’t really new breeds they’re just newly recognized by the AKC, which determines what dogs, what breeds are eligible for the show. So this year we have two of them. One is, is the aforementioned Coton de Tulear, which is a little white cotton swab of a dog that is in the non-sporting group. It’s kind of a lap dog and there’s a lot of question about why it didn’t come in as a toy dog. But they’re cute little dogs I know John you were hanging out with one backstage. John O’Hurley: Adorable, this dog is just magic, absolutely magic. David Frei: It is funny and they are fun dogs too, they all name their dogs after some fashion, you know, some fashion company like Burberry or Chanel or things like that. But they’re fun little dogs, cute dogs, long hair, long white cottony sort of – Coton means cotton and Tulear is the area of Madagascar where they came from. They are the royal dog of Madagascar that the renegade traders in Madagascar started trading them off to the European traders, which is how they eventually came to come to this country is landing in Europe first. So the Coton is the first one, then we have a new sporting breed the Wirehaird Vizsla, which is very similar of course to the Smooth Coated Vizsla that we all know and love. This dog has a little more substance to it but it also has this wire coat like you might see in a wirehaired, short hair or wirehaired, German short haired wirehair, German Wirehaired Pointer, there it is that we’ve seen too. It has some of that behind it but it has this wire coat, it has a wonderful personality the ones that we’ve seen, we’ve only seen two of them and they’re great dogs as well. So two this year we’re going to have a bunch more next year I think, the word is we might have as many as seven new breeds next year. So we’ll see what happens but we hope you enjoy these two for this year.